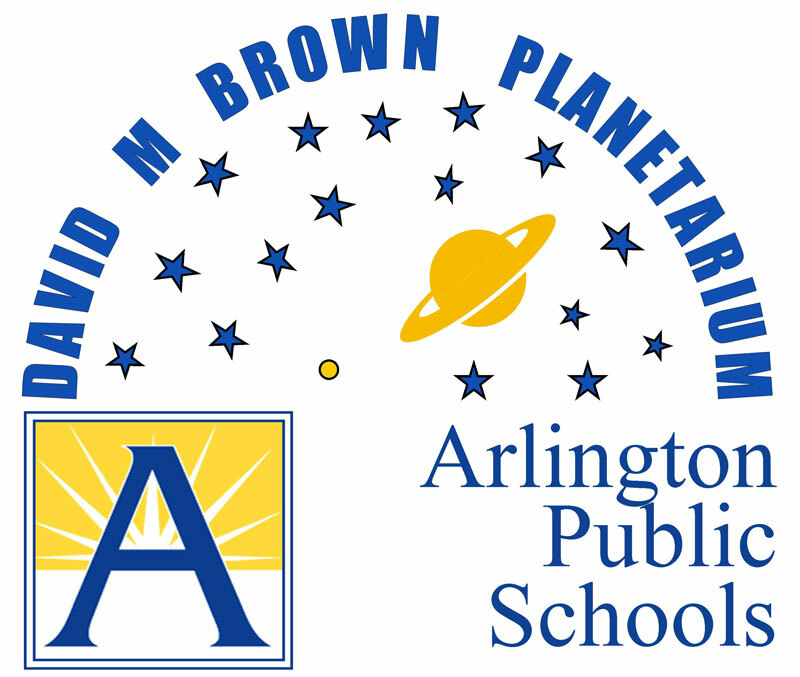 How can I book a school group visit to the Arlington Planetarium? Do I need reservations to see a weekend program? Can I have a birthday party at the planetarium? Can I rent the planetarium for private group show? Can I donate my old telescope to the planetarium? What is that really bright object in the western sky right after sunset? What is that really bright object in the eastern sky before sunrise? What are those bright streaks that look like comets I sometimes see low in the western sky right after sunset? 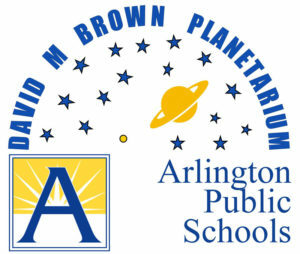 The Arlington Planetarium is operated by Arlington Public Schools as part of the school system’s science program. Intra-county private schools and organized school groups as well as public and private schools outside of Arlington are welcome schedule programs with us after Arlington schools have had an opportunity to schedule their visits. “Open Season” when we will accept bookings from school groups other then Arlington County Public Schools begins October 1st each year. After October 1st you may call the planetarium at 703-228-6070 to schedule a visit or inquire about our offerings. The seating capacity is 58; however the “optimum” capacity is 45 to allow best viewing of the projection dome. You do not need reservations for groups of less than 10. Simply arrive 15 minutes before the doors open. You should have no problems being seated. Keep in mind, no admittance is allowed once the show begins. Please be prompt. The Arlington Planetarium is open for public multimedia programs on weekends throughout the school year. Show times are: Fridays and Saturdays at 7:30PM and Sunday matinees at 1:30 and 3:00PM. Additionally, Stars Tonight, a live sky show under the dome, highlighting the celestial sights of the coming month is offered the first Monday of each month at 7:30 PM. Doors always open 15 minutes prior to show time. Admission is $5 for adults and $3 for children under 12 and seniors. The Arlington Planetarium is located at 1426 N. Quincy St. in Arlington, Virginia adjacent to Washington-Lee High School and the Arlington Public Schools administration building. Can I do a birthday party at the planetarium? We are a small facility and cannot accommodate party activities. However, you may book a private show for your party goers at the planetarium then celebrate with cake, ice cream and games at home or some other suitable venue. Can I rent the planetarium for a private group show? The planetarium may be scheduled for a private shows subject to staff and theater availability. Rates are set by APS and dependent upon time and the type of group that will be using the facility. During the school year, weekdays from 8:30 AM to 3:00PM are reserved for school groups only. We are closed for all Arlington Public Schools holidays except for certain weekend public programs. Call 703-228-6070 for more information. The best telescope you can buy is a pair of binoculars. Yep, a pair of binoculars! Inexpensive scopes (a few hundred dollars) generally lack stability and durability. They may look pretty and tout super high magnification power but don’t be fooled. A telescope’s ability to magnify an image (its power) takes back seat to the instrument’s ability to gather light (its aperture or diameter of its opening to the sky). The greater the light gathering aperture, the brighter the image and the more that image will “survive” magnification. Remember too, that the mount must also be very sturdy and stable. The greater you magnify an image the more critical a solid mounting becomes. The tiniest vibration at low power magnification may be inconsequential but magnify the image 300 times and you magnify the vibration 300 times as well. Binoculars, while low power compared to most astronomical telescopes, offer nice views of the moon, the star clouds of the Milky Way, resolve the disks of Jupiter and Saturn, some binary stars and star clusters, and they are very portable and can be used in the daytime to scan scenery. If your budding astronomer really gets bitten by the bug, then consider investing in a more high end instrument that allows for some serious growth into the hobby. That said, a cheap department store scope can provide many hours of enjoyment. We recommend you give them to a friend to stimulate their interest or sell them at a yard sale. Larger, commercial instruments of the amateur/professional class could be of use to us when doing school yard stargazing. If you are looking for a home for a Celestron, Meade or similar instrument of 5 inch aperture or larger, with a clock drive and in reasonably good shape please call us. A flying saucer, Silly! Seriously though, here in the Washington DC area, a bright light in the western sky right after sunset, may be an aircraft approaching Dulles or National Airports. The twilit sky is still light but dim enough for brilliant landing lights to stand out against the backdrop of the sky. The dead giveaway is to stand still and study the light for a few moments. If it is an airplane it will move. If the aircraft is heading directly towards you and is a great distance away, it may not appear to move for a long time but keep watching it. Eventually it will get close enough for you detect motion. If it still fails to move you are likely seeing the brightest natural object in the sky after, the sun and moon – the planet Venus. Don’t look for it there every night though. Sometimes it is there for weeks on end but other times it vanishes only to reappear as a morning “star”. Indeed, Venus is often referred to as the Morning or Evening Star because it is usually bright enough to be visible in a twilight sky long before true stars appear or after they have faded into daylight. Similar to above, you are probably seeing the planet Venus. What are those bright orange streaks that look like comets I sometimes see low in the western sky after sunset? We often get calls from skywatchers who notice brilliant yellow-orange streaks close to the western horizon at evening twilight. They are the condensation trails or simply “contrails” left by the engine exhausts of high flying jet aircraft. Cruising airliners generally fly from 6 to 8 miles high. This is high enough above the earth’s surface to still be in direct sunlight long after the sun has set from the observers point of view on the ground. There are often many of them seen in a narrow swath because airliners tend to fly along distinct navigational routes or “highways” in the sky, and early evening is often a peak travel period in the day. Often they appear to converge on a single point on the horizon. This phenomenon is identical to that which we observe when standing on a bridge over a pair of railroad tracks heading straight to the horizon. The farther we look down the tracks, the closer they converge until, at the horizon, they seem to meet at a single point. Of course we know they don’t really meet, it just looks like it. This phenomenon, referred to in art/drawing classes as “the vanishing point”, is called parallax.